Dickies is partnering with City of Bristol College to support students and apprentices who are preparing for a career in a range of vocational and technical trades and professions. Emma Jarman, Vice Principal – Curriculum and Quality, commented: “A skilled, knowledgeable and motivated workforce is an essential ingredient for building a strong and sustainable economy. 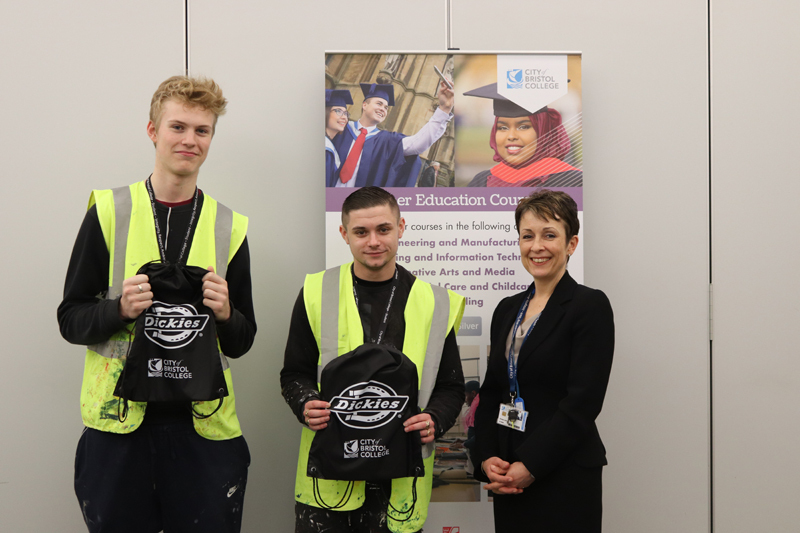 Our students were delighted with their Dickies induction packs containing essential items to help them make good progress in their studies and career development. Dickies’ activity with City of Bristol College will support all students and apprentices aged 16 to 18. Those studying in the fields of plumbing, carpentry, electrical and construction programmes, horticulture, engineering, motor vehicle maintenance and animal care will additionally benefit from opportunities specifically related to their chosen industry. Previous : Baxi Apprentice Scheme funding… APPLY NOW!